The Deciduous Forest in many different areas of the world. 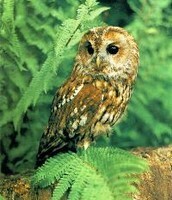 It can be located in the eastern area of North America, in the middle of Europe, and Asia. In Asia the Deciduous forest is found in places like Japan and Eastern China. Also in the continent of South America and Australia. 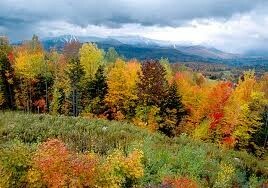 The Deciduous forest has four different season which are Spring, Summer, Autumn and Winter. In the Summer season the temperature averages about 70 degrees Fahrenheit. In the Winter the temperature is fairly cool and averages below freezing. The climate is a mix of temperature and precipitation. In the Winter the rain amount is 14 inches and in the Summer it's 18 inches. 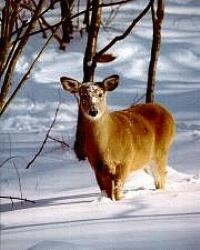 In the Deciduous Forest there is a large variety of mammals, birds, insects, reptiles. The mammals that live there include the Deer, Bear, Raccoon, Wood Mice, and Skunks. There is native mammals like the Mountain Lion, Timberwolves, and coyotes. Many native animals are killed next to extinction like the Bison, and Elk. The insects that are there are the Cicada, Butterfly, Wasp, and Beetles. 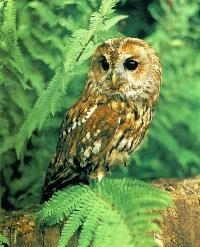 The birds in the Deciduous Forest are Owls, Bobwhite Quail, and Northern Cardinal. Reptiles include Snakes and Lizards. The Deciduous Forest is covered in many different types of trees and bushes. The forest top layer is made of the tall trees in the forest. The second is made of saplings and naturally shorter trees. The third layer is made up of the shrubs. The fourth layer is made up of the herbs, wildflowers, and berries. The fifth layer is made up of mosses and lichens that grow on the tree trunk.